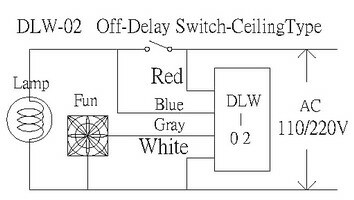 When you turn on the delay switches for lighting, the light and electric fan will work at the same time. When Turn off the same switch, light will be off right away but electric fan will be still running depends on the time you set. 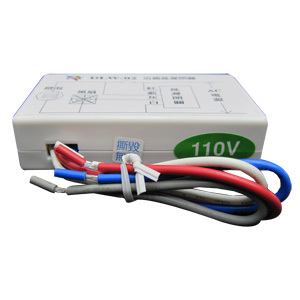 Convenient: it can be installed without changing circuits. Compatibility: All can be installed no matter which brand of extractor fan. 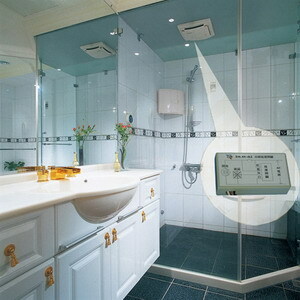 Water resistance: With the effect of water resistance, will not easy to be damaged by humidity of bath room. Flexibility: Off-delay time can be adjusted by personal habits. You can set it to 10 seconds, 5 minutes, 10 minutes or 15 minutes. 10 seconds, 5 minutes, 10 minutes and 15 minutes. Connecting wires as the wiring diagram. 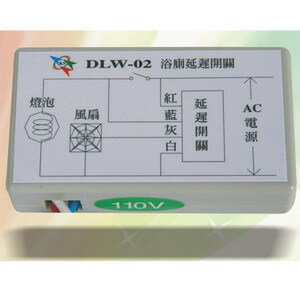 The light wires need to be connected to make the delay function works. The max loading of extractor fan is 1 horsepower. Connecting the wires correctly to avoid burnout.